The past several years have been hard. Really hard. To be honest, at times I thought life may have finally gotten the better of me. Although many tears of heartache and heartbreak have been shed, the tears that are still in my eyes as I write this come from a place of pure joy. The kind of joy I have not felt in a long time. Over the past several weeks, Tricension has had the distinct pleasure of being an honorary coach for the NAIA Division I Men’s Basketball Tournament. As such, we “drafted” one of the tournament’s 32 teams to act as their host while they were in Kansas City. Before the draft, our leadership team met to study the field and get our list of potential teams together. We were all amazed to find that prior to our meeting we had all selected the same team. However, being the new kid on the block we assumed we had no shot at getting our pick. As if by divine intervention, a scenario presented itself which allowed us to move out of our 25th pick to the 9th pick overall. Without hesitation, we jumped at the chance and got our team! With the 9th selection in the 2018 NAIA honorary coach draft, Tricension selects…The Graceland University Yellowjackets, from Lamoni, IA. The reason we selected this team was different for all of us, and at least in my case, deeply personal. From Kansas City, if you take I-35 straight north for about 2 hours you’ll run across the small border town of Lamoni, Iowa. I am very proud to be an Iowa native and to have graduated from a NAIA university. To me, Lamoni always represented the point where I knew I was almost home. Although it may sound cliché, Iowa will always be where you will find my heart. So out of a field of 32, despite a couple schools being from Iowa, there was only one team for me. Graceland. We had no idea what we were supposed to do as honorary coaches, but with a Midwestern sensibility we knew we had to take care of our team. It being Graceland’s first trip to the tournament, you could sense that they were finding their way a bit as well. From the moment we met, Coach Doty and the team presented themselves with a maturity beyond their years and graciously accept us into their family. We returned the favor in kind. Had Graceland lost in the first round, or for that matter not even made the tournament, I don’t think anyone would have thought any differently about them. But, as each game progressed, one unexpected win after the next, Graceland’s secret sauce would slowly be exposed to the world. On paper, there were more talented and experienced teams in the tournament. But Coach Doty and his staff preached repeatedly that despite the odds being against them, by staying disciplined and playing together, they would do great things. And that they did. 00:00 OT – Three-point Shot made by Justin Harley (GU) as time expires. I’ve have had an experience. One that transcends collegiate sport and speaks to who we are as humans. Graceland University, from my home state of Iowa, reminded me of something that over years of personal and professional hardship I had forgotten. It’s easy to fail in this world. Those who overcome adversity do so with a commitment to hard work, a stubbornness to achieve, and an unwavering understanding that we absolutely cannot do this alone. I would propose that anything worthwhile in life must be achieved through adversity. Without it, we would lack the appreciation for how special and rare those moments really are. Many years from now, when we look back on our lives, would we really want it any other way? 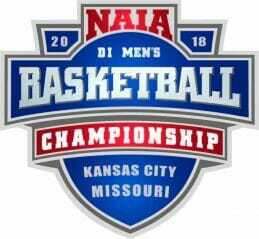 Congratulations to the Graceland University 2018 NAIA Division I Men’s Basketball National Champions!